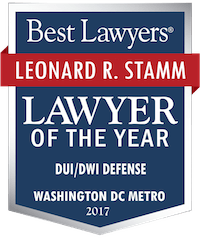 Sentencing in DUI cases Category Archives — Maryland DUI Lawyer Blog Published by Maryland DUI Attorneys — Goldstein & Stamm, P.A. 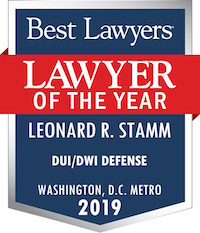 When a person gets convicted of a drunk driving (DUI or DWI) charge in a state other than Maryland, that state usually sends a notice of the conviction to the Maryland Motor Vehicle Administration (MVA). The MVA is then authorized to take action against the person’s driver’s license under a number of provisions. (b) As to any other convictions, reported pursuant to Article III, the licensing authority in the home state shall record the conviction on the individual’s driving record, but may not assess points for the conviction. Md. Code Ann., Transp. § 16-703. The Administrative Law Judges (ALJs) who decide these cases have an enormous amount of discretion in deciding what sanction to impose. The ALJ can impose a sanction ranging from revocation to a reprimand (warning) and everything in between. This can include a restricted license for a month or two allowing only driving related to work, education, alcohol education, and medical purposes for the driver and family members. The ALJ may also impose a restriction requiring the driver to enroll in and successfully complete the Maryland Ignition Interlock System Program. Typically the driver presents mitigation evidence in the form of certificates of completion from alcohol education and treatment classes, and letters from an employer verifying a need for work related driving. Supreme Court rules search warrant presumptively required before obtaining non-consensual blood draw – Missouri v. McNeely win! The Supreme Court today announced its opinion in Missouri v. McNeely and ruled that police in DUI investigations may not automatically avoid seeking a search warrant to obtain a blood sample where the defendant does not consent to a blood test. This is the third win as amicus curiae for the National College for DUI Defense which filed an amicus brief with the National Association of Criminal Defense Lawyers. In those drunk-driving investigations where police officers can reasonably obtain a warrant before a blood sample can be drawn without significantly undermining the efficacy of the search, the Fourth Amendment mandates that they do so. See McDonald v. United States, 335 U. S. 451, 456 (1948) (“We cannot . . . excuse the absence of a search warrant without a showing by those who seek exemption from the constitutional mandate that the exigencies of the situation made [the search] imperative”). It is interesting counting the votes again. With respect to the proposition that there is no per se DUI exception to the warrant requirement in so far as non-consensual blood tests are concerned, the vote is 8-1 (only Thomas dissented from the holding). Since that was the only basis urged by Missouri for decision, the Missouri Supreme Court was affirmed. Missouri never appealed the question of whether the officer in this case acted reasonably. As a result, Justice Kennedy wouldn’t touch when and whether it might be reasonable for an officer to get blood without a warrant. He is willing to wait for the next case to do so. In so far as there was a discussion about how to determine when and whether an exigency exists there were 3 votes for kind of a special totality test where if the warrant couldn’t be obtained without any delay at all, then it might not be needed (Roberts, Alito & Breyer). But Sotomayor, Kagan, Scalia and Ginsburg disagreed with this approach.